Are you passionate about automobiles? Do you crave for a new driving experience every day? Well, regardless of how much money you have, it is not possible for you to buy a new car every day and enjoy its advanced features just to meet your fantasies. So, does that mean you will have to sacrifice your love for automobiles and just read about them on the internet? No. There is another way out. You can opt for the auto wrecking companies. 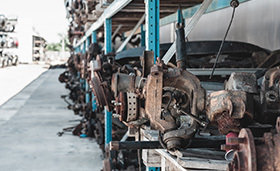 You should look for a good auto wrecker which dismantles old, junk cars and recycles their functional parts. This way, you can replace your old and outdated car parts with advanced and more efficient auto parts from other cars and get an exclusive driving experience everyday. We, at Dixie Salvage, can be the right choice for you. We are an experienced company with high-quality auto parts for all makes and models. So, if you belong to areas like Gainesville, Alachua County, Chiefland, Lake Butler FL, Madison County, or Perry FL, you can count on us. Here, we have put together some of the most common questions you might have for the auto wrecking company. Take a look. What sorts of auto parts can be found with you? There are certain essential car parts which contribute to the overall driving experience in the car such as the tires, windshield, or the engine and the transmission. So, try to change these from the auto wreckers. Or you might want to equip your car with smarter interiors too. Those kinds of parts are also easily available with the wrecking service. How much do you charge for the parts? Recycled auto parts from the wreckers cost much lesser than the original ones. But if you still want to fetch lower prices, you should take the price quotes in advance, compare them and then take the decision. If you think we have the right answers to your questions, then get in touch with us today. Fill out this form and we’ll get you the help you need! Copyright © 2019 Dixie Salvage. All Rights Reserved. Website by American Creative.